Ada Mae Crouse, MA, is a State-Certified and Board-Certified Music Therapist with over 30 years of experience in clinical music therapy. She received her BA in Music from the University of Iowa, Music Therapy Equivalency from University of Kansas, MA in Psychology of Music from University of Washington, Violin Studies at The Juilliard School of Music. She has extensive experience working children, adolescents and adults in both outpatient and inpatient settings. 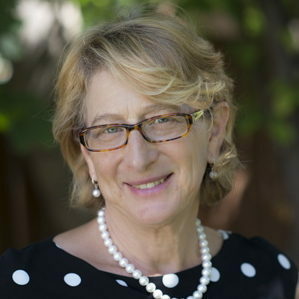 She is known for her work in both music medicine and music psychotherapy, and she has published and presented on a wide range of topics, including: Music to Reduce Anxiety During Cesarean Birth, A Comparison of Guided Imagery and Music and Shamanism, The Drum and the Rattle in Psychotherapy, and Music Mind and Healing: A Treatment Approach in Women’s Health Care. Currently working at La Europa Academy, she has found her Mother Music Model of Music Therapy to particularly effective with adolescents. Ada Mae will be offering her Music Mind and Healing program to promote wellness through music. Workshops and consultations will also be available for health care professionals who are interested in learning more about the ways in which music therapy can assist their patients and clients.